Students who want to apply to different combinations must fill in separate application form. Admission to college will be according to the aggregate marks obtained by the candidate in class X results and admission date will be displayed on the college notice board. The candidate is expected to meet the principal on the appointed date and time accompanied by both the parents. Admission will be denied if the candidate does not join the college within the stipulated time. The selected candidates will be enrolled after the payment of fee. The admission is subject to the approval of Dept. Pre-University Education, Karnataka State. The minimum pass mark is 35% in each subject. Producing the Hand-book to the class-teacher at the time of result of Semester Examinations is compulsory. Promotion to the next class at the end of the academic year will be based on the overall performance of the student during the year, with 75% of attendance. A month’s notice is required before a student be withdrawn from school, failing which a month’s fee must be paid. Those who leave in April must pay their fees for May also. Notice of leaving the school must be given before the beginning of the holidays, or else for the first month of the following term will have to be paid. Application for certificates viz. age, conduct, course, transfer certificate etc. must be made to the office in writing. The month and the year in which the student joined the college, the register number, the course and the class in which the student was originally enrolled. A nominal fee shall be charged for every certificate. A minimum of one working day is required for processing. Gazetted Officers must be approached to get copies of the certificates attested. Principal will not be in a position to attest certificates at the time of admission. Students applying for I PUC duplicate Marks Card should give a written application and obtain an affidavit from a notary. They must also carry a copy of an FIR filed with the police. This application and affidavit should be submitted after obtaining the principal’s signature and paying the required fee in the office. All the passing out students will get the Transfer Certificate along with the original marks card of II PUC issued by Department of Pre-University Education, Karnataka. Science students, who complete the course can collect the Study Certificate along with the Transfer Certificate and original Marks Card of the II PUC on the scheduled date and time announced by the office. Students of Commerce may also apply for or the same by submitting an application of the office. The students of I PUC can approach the Department of Pre-University Education through the college for Language Exemption on tenth standard examination. They have to produce the following documents to collect the forwarding letter from the college office. Doctor’s Certificate issued by the concerned authority for learning disability. 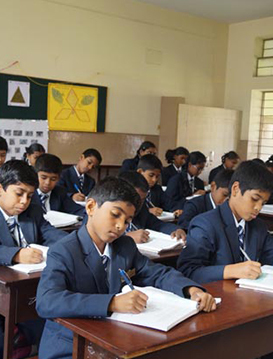 Photo copy of the Tenth Standard Marks Statement. After collecting the forwarding letter from the college they have to approach the department of Pre-University Education along with above mentioned documents. Students applying for II PUC Duplicate Marks Card should fill in the application provided by the department of PUE and obtain an affidavit from a notary. They must also carry a copy of an FIR filed with the police. Students must pay the required fee in the (Treasury Branch, State Bank of Mysore, Shivajinagar, opposite to Bowring Hospital). The application, affidavit and fee paid challan should be submitted to the Department of PUE by the student. Students, who wish to continue their higher studies outside Karnataka need to apply for Migration Certificate. They can approach the Department of the PUE along with II PUC original Marks Card and Transfer Certificate. Students can apply for Photocopy of Answer Books, Revaluation and Re-totaling of Marks II PUC Examination at the Department of PUE with prescribed fee, Applications are available in the college office. Address of the Department of Pre-University Education:- Sampige Road, 18th Cross, Malleshwaram, Bangalore – 560012. Phone No: 080-25731857, 58, 59. PUC Students must pay the fee for the whole year on the day of admission. Fee once paid will not be refunded. Defaulters will be liable to a late fee of Rs. 5/- per day. Students must retain the “student’s Copy of the challan safely for future reference. Students are expected to clear all their arears including fine for breakage, damages etc. before collecting the admission ticket for the Board Examination. The fee for II PUC Students must be paid immediately after the announcement of I PUC promotional examination results. The school uniform is obligatory on all working days. It is mandatory for all students to wear their School Identity Card while in the school campus. It is the duty of the parents/guardians to see that students come to school neatly dressed in the prescribled school uniform. The students are encouraged to maintain personal hygiene. Shun from wearing gold earings, bangles, chains, colorful and fancy jewellery, and long earrings.